Separate entrance to front. 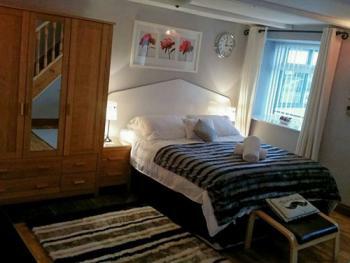 Spacious open plan bedroom/diner with new oak flooring, 42" flat screen TV, CD player, King size bed. Dining table & chairs. 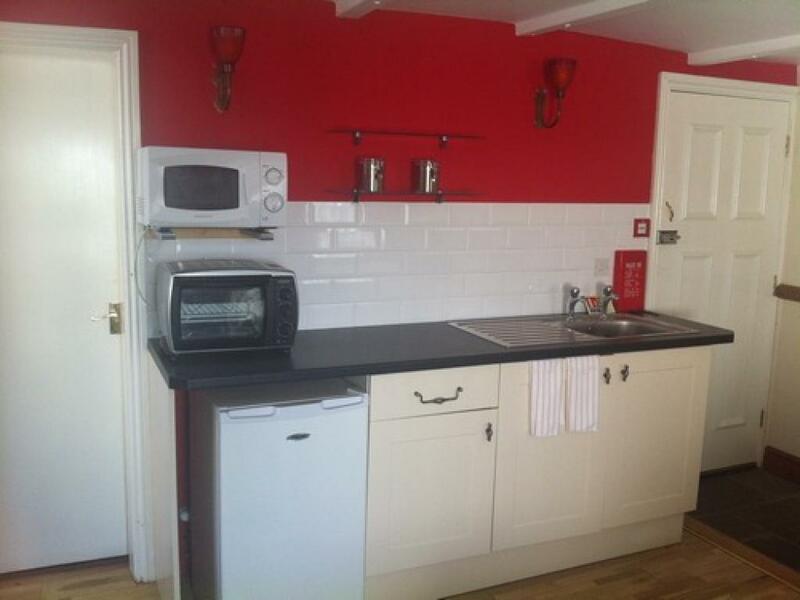 Kitchen area with microwave, 2 electric hobs, fridge. Walk in shower/wet room with shower, wash hand basin, WC. 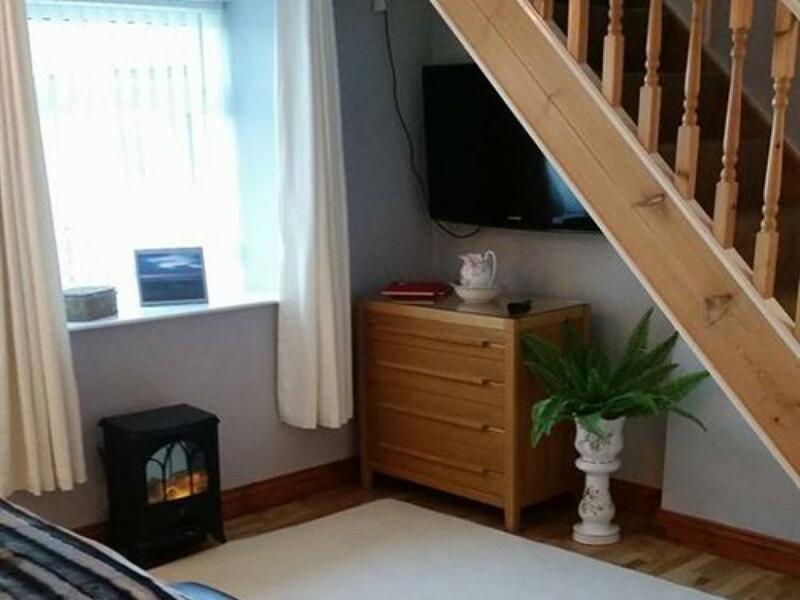 Upstairs:Lounge area with sea views east and views of the countryside west. TV/DVD Private parking to side. Decking are outside on seashore. Gas central heating. All power, bed linen, towels and hairdryer included. We had relaxed mornings followed by superb visits and walks by the coast and in the neighbouring towns. It was great to be able to come back to a quiet and comfortable evening, either eating in the lovely restaurant or making ourselves a simple meal. The coastal walks in both directions were lovely with spectacular views along fantastic beaches and inlets.